When I think of visiting far-off remote places and unusual holiday destinations where there are no crowds in sight, I smile. That’s not to say these places turn out to be a happy land of lone travellers, free of fam-bams and overzealous intrepid tourists, but if you’re picturing urban dwellers, and jaded souls who are perpetually excited at the sight of ridiculously balmy beaches, windblowing magical places to rest out their tired lives - then, that’s about right. The world may be conquered, and every year Lonely Planet and TripAdvisor releases their top unique destinations that will make you dream of ways to whisk you to these secret places of the world. However, the missing ingredient of these places are the travellers’ stories, the new connections, the personal tips and the unusual experiences. 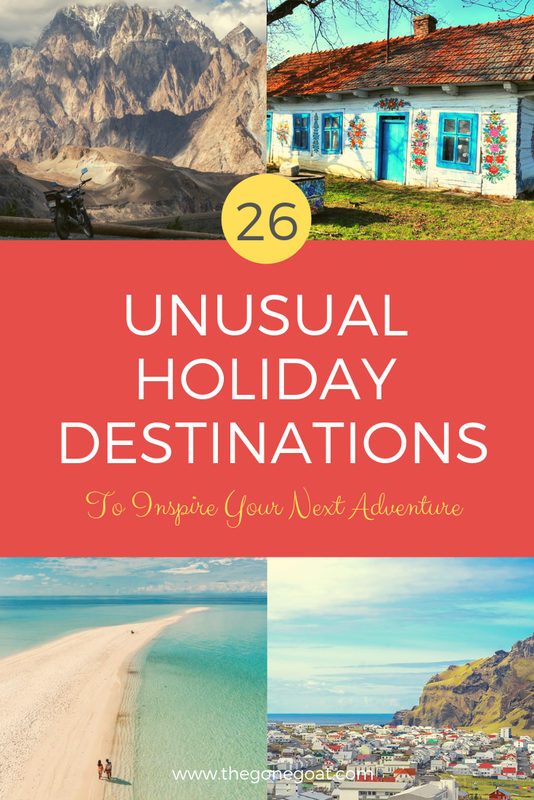 Hence, I have reached out to travel bloggers and creators to highlight their unusual holiday destinations or unique travel destinations that will feed your adventurous soul. It is easy to get out and go under the radar. It could be a piece of history or a place that you sought out because you were interested in the way the locals have reformed their lives, Any little interest in these new places is enough for you to go off-the-path. Safety is a state of mind. You should never let fear keep you away from travelling. A place of despair becomes the terrain of what might be. Precautions and a few general street smarts are enough for you to find strength in visiting places you’d never think of visiting. Open-ended journeys, and limited budgets are inspiring: Forget the categories of budget travellers, backpacker and luxury travellers, but just pick any destination regardless of the cost, and find a way to travel the place at a limited budget while focusing on the spontaneous experiences. If you would like to visit new places and can’t think of unusual holiday destinations, consider these stories and recommendations below. 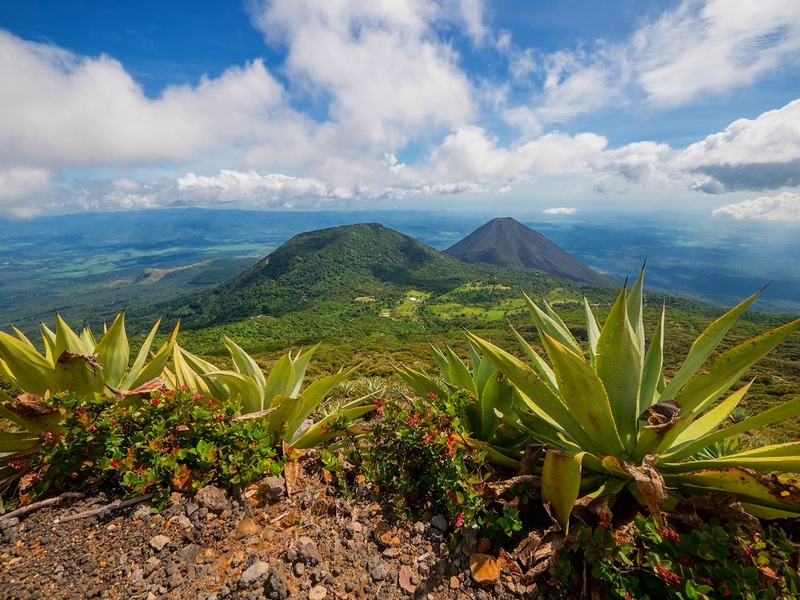 El Salvador is an often overlooked country in Central America, the smallest in the region in fact, and usually avoided because of safety concerns. But if you are smart and avoid the main focus on drug-related crime you can travel to El Salvador and enjoy a beautiful country without any tourists and with friendly people. El Salvador is a very affordable country and one of the most unusual holiday destinations where you can spend less than $10 a day on food and public transportation (buses) are cheap. However, to be safer and more comfortable, I suggest picking a base and going on day tours with a driver and guide. This way you will be safer but also will get to interact with the locals and learn more about the rich heritage. I stayed in Suchitoto, a small village about 1.5 hour from San Salvador and from there explored the Mayan Ruins, La Ruta de las Flores, and Santa Ana Volcano. San Salvador deserves half a day and if you are into surfing, there are a few towns along the coast, north and south of La Libertad which have a great surf. Many travellers only think about going to the beach in Cuba and maybe a side trip into Havana for the day. But Cuba is one unusual holiday destination that you cannot find elsewhere. 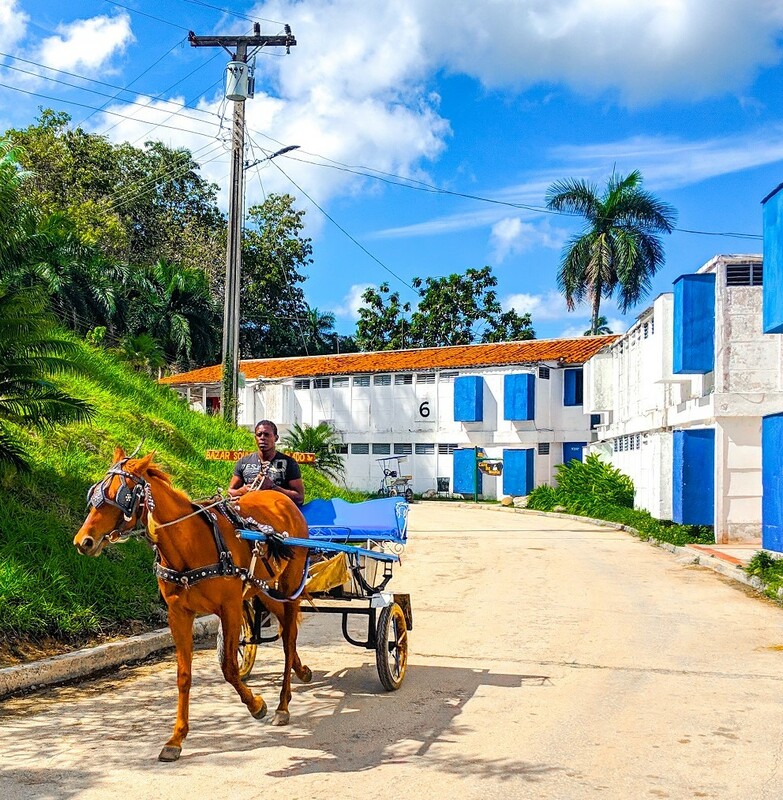 Las Terrazas is a small village just 90 minutes outside Havana on the way to Vinales. It is not on a beach but actually in the mountains in a UNESCO Biosphere Reserve. The community population is limited because you must be invited to live here, you cannot just move here on your own. The easiest way to live here in utopia is to marry someone from the local community, or to have a trade that they need, such as an electrician or a plumber. But tourists are welcome to visit as this area was once a former coffee plantation and so it’s possible to hike through the mountains and visit old plantation ruins and go birdwatching. Cubans also vacation here as there are two lakes and a river to swim in. It’s popular to go horseback riding, zip lining and it’s worth staying overnight in the local hotel, or you can also stay by the river in small huts. If you're on a budget you can also camp in a tent, either your own or rent one from the community. If you’re looking for a bit more tranquility, there are a number of artist studios to visit and the local coffee shop has an amazing view. Las Terrazas is also home to a solar powered vegetarian restaurant that aims to grow most of its food or buy from local farmers. Not many venture into the caravan towns and old squares of China, making Shaxi an unusual destination. The peaceful pedestrian streets and earthy undertones in a sleepy Shaxi town was the perfect kind of balance we were seeking in a different side of China. Walking to the outskirts of Shaxi offers pristine views of the Heihui River, with rolling peaks creating the stunning backdrop. Few people have realised how vast and unprecedented the changes that China has gone through but this change is often seen in big cities. Not many venture into the caravan towns and old squares of China, in other words the off the beaten path destination in China where true gems and stories are to be found. If you’re in the Americas and thinking of heading down to Colombia, then there is one unusual holiday destination or unique travel destination that may interest you. In fact, it’s not so much the destination but how you get there that is quite unusual. The name of this place is called San Cipriano and let me tell you why. San Cipriano is not one of the most famous places in Colombia but has a natural reserve which is home to the most crystalline waters your eyes have ever seen. However, to get to the natural reserve, you must take a ride on an abandoned train track which has been adapted by locals to fit a motorbike equipped with make-shift wooden carriage. It’s the most exhilarating 20-minute ride you will ever take and it costs less than $3USD! It goes through the middle of the jungle and there’s no speed limit. Some have noted how dangerous it is but it’s the only way to get to the Natural reserve without hiking for a couple of hours. This is what makes the natural reserve at San Cipriano a very unusual holiday destination for 2019. Easily one of our most unique and unusual holiday adventures destination whilst backpacking South America was our Amazon boat cruise from Belem to Manaus. But don’t worry, this isn't your typical touristy, luxury boating cruise where you dine in restaurants and sleep in a bed. No, this is far from that. Instead, you get to spend a week on a local passenger boat, sleeping in hammocks as you slowly drift upstream towards Manaus. These boats leave multiple times every day and are what businesses and locals use to transport themselves and their products to towns all along the Amazon. All in all the journey takes about a week and it offers the unique chance to detach yourself from the outside world and enjoy the breathtaking beauty of this region. Just make sure you prepare ahead of time and take on plenty of food and drink as the food on board will likely make you sick. You will find at least a few other white foreigners on board, and we are still in touch more than 2 years later with people we met on that journey. 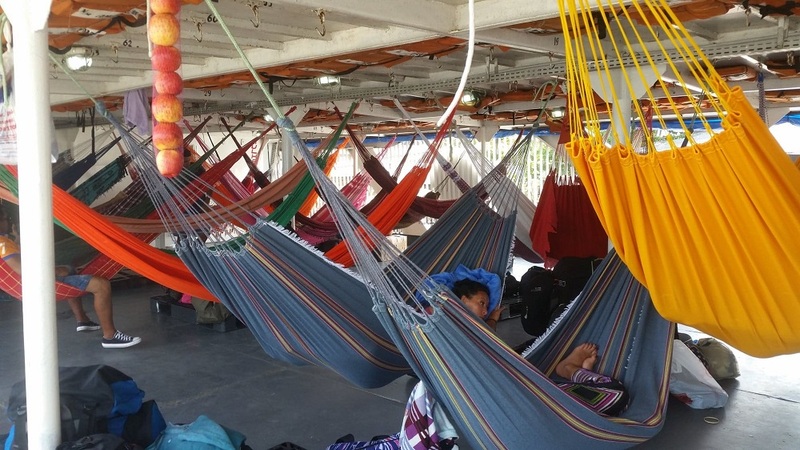 It costs R$200 for your tickets and R$110 for your hammocks and rope, which you can pick up at a market outside the terminal. You can buy your tickets when in Belem, you simply visit the terminal building and find out more about availability in the next few days. So all in all, that’s around USD$80 for one of the most unique, yet adventurous holidays you could think to find. You may have thought of going to Rio De Janeiro, but have you checked out the little island of Ilha Grande? Ilha grande is an island that is 93 kilometers away from Rio De Janeiro, and it’s fairly easy to get to by a combination of boat and bus. Once you’re there, you’ll enter a world that is far apart from the bustle of the city. The main draw of the island is its slow pace of life and its unspoiled hikes and beaches. Every day of your stay, you’ll be able to hike to a different part of the island and potentially have a little beach to yourself. Be sure you’re prepared with food and drinks for the day, because you won’t be passing any shops. There are a few small towns where restaurants and accommodations are clustered, meaning there is a bit of nightlife as well -- but not too much. The Sundarbans are the world’s largest mangrove forest - spanning India and Bangladesh, the Sundarbans covers over 10,000 square kilometres. 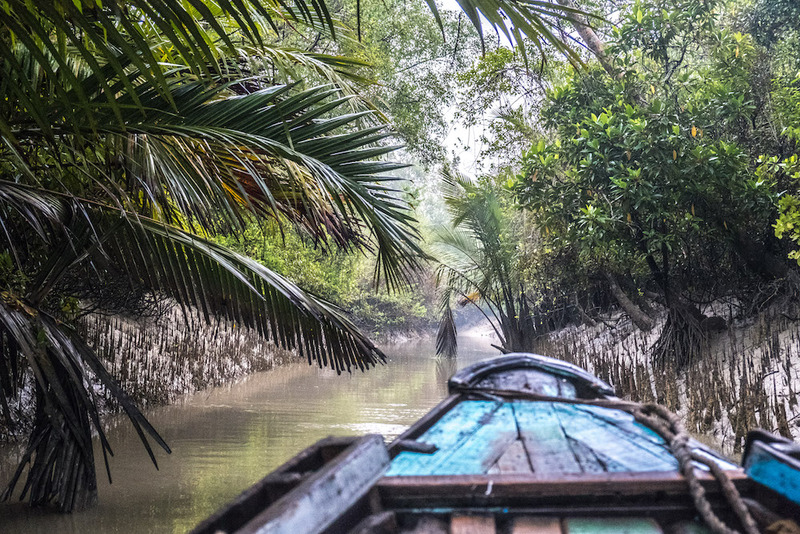 Although the Sundarbans are famous in Bangladesh among locals - who often head here on weekend boat trips or for family holidays, the Bangladeshi Sundarbans are much less visited by foreigners. The mangroves are home to an abundance of wildlife ranging from crocodiles to kingfishers, spotted deer, wild pigs and perhaps most famously of all… tigers. This is one of the only places in the world you can see the Bengal tiger in watery surroundings. Although your chances of spotting a tiger during a short visit are low, local villagers see a little too much of them as tiger attacks have increased along with the human population in the Sundarbans. Most tourism to the Sundarbans takes place in the form of stay-aboard boat cruises, but such trips have a relatively high impact environmentally and low impact for the local economy in the Sundarbans. We recommend staying on land instead in an eco-resort or homestay in one of the villages, who can arrange boat trips for you as well. Although harder to travel to, your patience will be rewarded by experiencing true Bangladeshi hospitality (perhaps truly the best hospitality in the world). Unfortunately, environmental management of the previous Sundarbans ecosystem is low on the list of priorities in Bangladesh so make sure you avoid using plastic wherever possible during your time here, to avoid it ending up in the water too. Nevis should definitely be on your 2019 travel bucket list and a holiday destination that is truly unusual. The Caribbean island that very few people have heard of, an escape to Nevis is an escape to the Caribbean without the crowds. Nevis is the sister island to the larger St Kitts, so it’s relatively easy to get to, but somehow it’s managed to stay under the radar from the hordes of tourists that descend on other islands. Although it’s only 16 miles long, there’s a lot to do on Nevis. 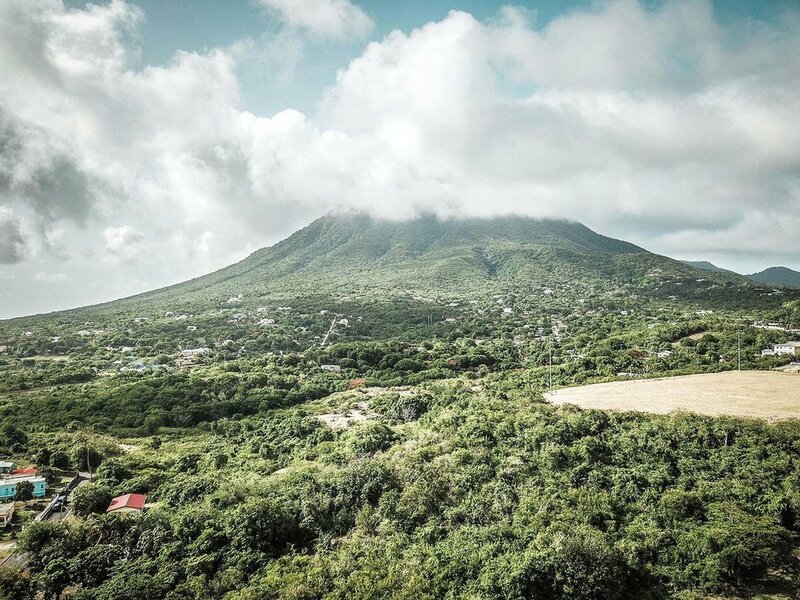 The interior of the island is a hiker’s paradise - and the imposing Nevis Peak is a tough but worthwhile challenge for those fit enough to take it on. On a more relaxed vibe, it is the Caribbean, so there are plenty of beaches to lay your towel down and soak up the hot sun. Nevis isn’t a party island, but it has its share of beach bars and nightspots. Of these, Sunshine’s is the best-known. It’s not a trip to Nevis without sampling one of the famous Killer Bee cocktails. Tusheti, a remote province bordering the russian provinces of chechnya and dagestan. past problems and civil wars. Today Georgia is a safe country that welcomes visitors to enjoy their beautiful land. There are plenty of interesting things to do in Georgia such as visiting archaeological sites; going on a wine tasting tour; hiking in Kazbegi; visiting medieval villages and tasting the delicious local food. If you are into hiking, let me tell you that Georgia is a real hiking paradise. There are hundreds of high-class trails such as the Mestia to Ushguli Trek, the Omalo Loop and the Kazbek Glacier Trek. that you take the Omalo Loop Trek. This trail will take you along medieval towers, ancient villages and high-altitude passes. Tusheti is one of the best unusual holiday destinations that you can visit in 2019! Iran adds a lot of mystery as a travel destination making it one of the most unusual holiday destinations. Narrow lanes, a surprising adventure and tracing the Zoroastrianism culture, the oldest community in Iran, in the isolated desert regions of Iran, Yazd won me over when I learned how ancient Persia has grown to recognise the Zoroastrian community. Fall in Iran is stunningly beautiful and there are countless reasons to visit Iran just like what I did in November, where I befriended locals, experience the Ta’arof culture and learned about their desire to break free from the shackles of society. Sikkim in India, known for it's tiny monasteries and deep forested mountains. The tiny and beautiful state of Sikkim in India lies to the south of Tibet, sandwiched between Nepal to the west and Bhutan to the east. 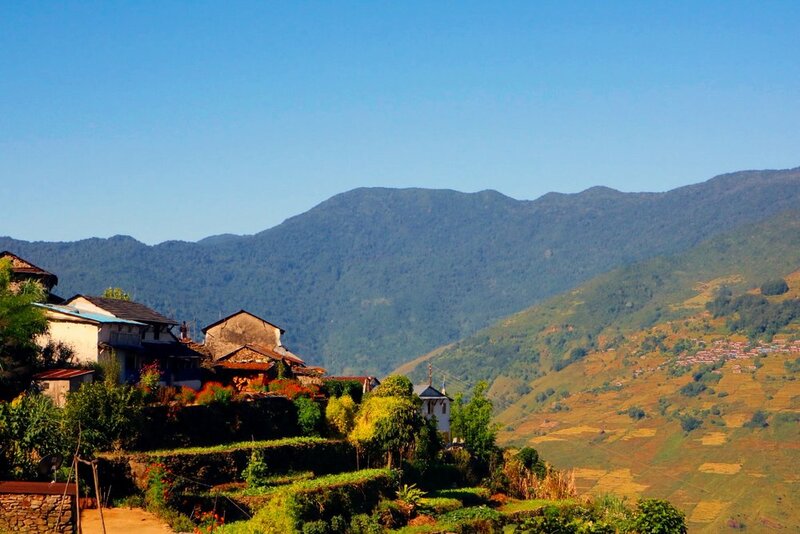 This mountainous state is known for uncountable tiny monasteries and deep forested mountains. The mountains knew how to stay relevant here as I visited Yumthang Valley. The Yumthang Valley or Sikkim Valley of Flowers sanctuary, is a nature sanctuary with river, hot springs, yaks and grazing pasture on rolling meadows surrounded by the Himalayan mountains. I stayed at a small mountain village in Lachung which means 'Small Pass' and had a cute little cottage-feel to it with the name called 'Apple Mountain Retreat'. As lovely as the name sounds, the place had no apples unfortunately, but stunning views and great hospitality. Other than the wonderful views of vast valley of flowers, Yumthang also offers stunning views of the mountain peaks such as Pauhunri and Shundu Tsenpa forming the backdrop of the river Teesta. During the spring months, the area blooms with rhododendrons, primulas, poppies, iris and other flora. During the summer months, villagers take their cattle to these heights to graze (a practice known as yaylag pastoralism). Also Read: What Trekking in the Himalayas Taught Me? When you think of visiting Iceland, images of massive waterfalls and Icelandic horses usually run through your head. While the sites on the golden circle and along the ring road in Iceland are truly magnificent, when you're travelling Iceland on a budget you have to get creative. One overlooked area of the country is the Westman (Vestmannaeyjar) Islands. Off the beaten path and far from being a popular tourist destination, the Westman Islands lie just south of the mainland and can be easily accessed by a ferry that runs twice daily during good weather. The Westman Islands have a unique history and culture of their own. The archipelago consists of fifteen small islands. As you ride the ferry you can see the tiny islands, six which have just one house each. These islands belong to a group of Icelanders who use them as puffin hunting cabins. Puffin hunting is the only country where it is legal to hunt puffins. The most recent volcanic activity occurred on the largest island of Heimaey during the Eldfell eruption of 1973. One-fifth of the town was destroyed and covered in lava. It’s like a modern-day Pompeii. You can visit the Eldheimar Museum which has been built right over the top of one of the destroyed houses. The house has been excavated and it’s as if time stood still inside of it. You can watch videos of the eruption and the efforts to save much of the town. You can also hike or drive to the center of the volcano, which is something I’m pretty sure I’ve never done anywhere else. Not only is the island a piece of history and very educational, but it’s also gorgeous and amazing destination if you love remote places that feel separate from the rest of the world. What is a more unusual holiday destination than a country that doesn’t exist. Transnistria officially still belongs to Moldova, but in practice it has its own government, currency and visa regulations. When travelling from Chisinau to Tiraspol, the capital of Transnistria, you have to cross a border and you will get a slip of paper that is your visa. It’s such an easy process that it is easy to forget how complicated politics are in this region. The peculiar status of Transnistria is not the only reason to visit. It’s also a journey back in time. Tiraspol still embraces its Soviet history and Lenin is still watching you in front of the parliament buildings. It’s a fascinating place that offers a small insight in what life was like during communist times. The capital has enough to see and do for a day or two and has a surprisingly good restaurant scene. The best time to visit is the 2nd of September when they celebrate their independence day, hoping that one day they will be recognised by the rest of the world. Unending treasure trove of history in SouthWestern Armenia stretches, Syunik. Due to its tragic past, Armenia is an unusual holiday destination with some of the oldest relics and cathedrals in the world marked by Soviet architecture. Syunik, Armenia is easily one of those places where it has some of the most dramatic landscapes in the Caucasus. Surrounded by the glory of the Zanghezur Mountains, you will find an unending treasure trove of history in the Southern Armenian stretches, Syunik. There are Armenia’s most significant historic epicenters, tracing its history to the dawn of civilization, when ancient settlers are thought to have first mapped the constellations of the zodiac at the monolithic 6,000-7,000 year-old observatory, Karahunj. And if that’s not enough in the adventurous sense, you can take a ride on the longest cable car in the world, the Wings of Tatev, a chance to be at 5,750m over gorges 320m below, in order to reach Tatev Monastery and go on a roadtrip across the Caucasus starting in Armenia. The 9th century monastery was once a major center for education, housing over 1,000 monks and students. While parts of Nepal, like the Everest Base Camp trek, are considered tourist hot spots, 98% of the country goes unexplored by foreigners, making it an unusual holiday destination. With little effort, you can get off-the-beaten-path and discover a world rarely seen by tourists. While I’ve been lucky enough to have several of these experiences, my time in the small village of Tangting in Nepal always stands out. In a country where roads are just being built, you often have to walk for days to get anywhere worth seeing. Tangting is no exception. It’s a couple of days walk (or one very bumpy motorbike ride) away from the popular destination of Pokhara. The village is rich with Gurung culture (one of 125 different ethnic groups within Nepal). Here, you’ll be served authentic Nepalese cuisine and get to see life as a local. It’s the simplicity that makes it so special. Drinking Nepali tea in a cottage overlooking the Himalaya is one of the most peaceful experiences I’ve ever had. For less than $30 a day, you can enjoy nature at its absolute finest. But, it’s not just Tangting that gives this feeling. Just an hour outside of any city is a whole new world waiting to be explored. In Nepal, all one has to do is step off the main road in order to discover something new. Valley of Fire State Park is just an hour away by road from Las Vegas, Nevada. As a day trip or getaway destination, Valley of Fire is often overlooked in favor of Death Valley National Park or the Grand Canyon. But those that visit realize within a few minutes of entering the park just how underrated it is. Magnificent red rock formations rise up from the floor of the desert, creating vistas that will make you reach for your camera every few minutes. Add in some epic hikes, and a wealth of desert flora and fauna, and you have a travel destination to wow any nature lover. I think the drive through the park alone is worth the visit. But I also loved the two hikes we did, and the petroglyphs in the park are amazing. You'll find campgrounds in the park if you want to spend a few nights in the desert, or you can stay in the town of Overton nearby, but most people enjoy Valley of Fire as a day trip from Las Vegas. There is a modest entrance fee of ten US dollars per vehicle. Located more than 1,000 from the capital Muscat, very close to the Yemeni border, Salalah is the second largest city in Oman and the capital of Dhofar province. Home to what used to be the largest producer and exporter of frankincense in the world, an aromatic resin and the most important product in the Arab Gulf many centuries ago, is today one of the preferred and unusual holiday destinations for Saudi and Emirati people, yet, a real exotic and unique travel destination for Westerners, and the reason is that Salalah is a small tropical paradise located in one of the hottest and harshest regions in the world. Salalah is well-known for having a tropical micro-climate, including a real monsoon season. In July, the blue sky gets replaced by rainy clouds and the hot air by a very dense fog that easily lasts until the beginning of August. The arid plains become green meadows where hundreds of camels are grazing over them and the mountains get filled with Arabs from all over the region, escaping from the utterly hot weather from their home cities. From visiting mosques surrounded by coconut palms to buying an amazingly fresh papaya in one of the many fruits stalls or just driving the striking coastline, composed of jagged, frightening cliffs; Salalah is the most unusual and unique holiday destination in the entire Arab Gulf that will keep you busy for days. Looking for unusual holiday destinations in 2019? Travel to Poland to visit Krakow and Zalipie. Those places have some interesting attractions for travellers on a hunt for something unique and fascinating. Tour the 4,000-square-metre archaeological site known as Rynek Underground in Krakow's Old Town. Here, you will find a treasure trove of remnants that tell interesting stories from Krakow's history, such as peculiar burial practices reserved for the vampires of Polish folklore. Open from 10am to 8pm from Wednesdays to Sundays and only until 4pm on Tuesdays, book your tickets in advance. Entrance fee is 21zł per person, but you can also take advantage of the family ticket that costs 42zł. And, if you are there on a Tuesday then you can explore the attraction for free. After Krakow, head into Zalipie, a charming and colourful wonderland that will make you feel like you have fallen into a rabbit hole and into another world. In the village of Zalipie, multi-coloured floral motifs are painted on every structure, including bridges, chicken coops, and dog houses. Located 70 kilometres outside Krakow, hop on one of the hourly trains to Tarnow which will set you back around 11zł, then catch a taxi or a minibus heading to Bieniaszowice and get off at the village of Zalipie. Ever thought of going to Pakistan, and stopped thinking about it because the media, parents, friends told you it’s a dangerous nation of terrorists? Well, think again, because the time to go is now. Not only the government of Pakistan has opened a visa on arrival scheme for citizens of 35 countries who are traveling with a registered tour operator, but you can also overstay your visa up to 15 days without any repercussion. 2019 is the time Pakistan decided to shake off its bad reputation, and welcome visitors. And why going? Pakistan is a beautiful land of high mountains, rocky deserts and great architectural and cultural heritage. Cities like Lahore, Karachi and Islamabad have everything, from food galore to century-old, majestic mosques and palaces. 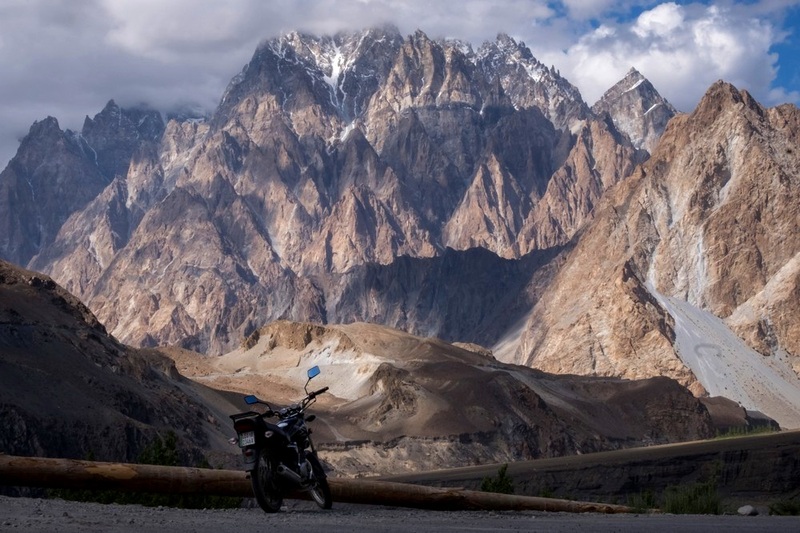 One of the most famous attractions, however, is the Karakoram Highway in the northern regions of Gilgit-Baltistan, which I travelled by motorbike. It’s the highest highway in the world, connecting Islamabad to Kashgar in western China. Travelling to Pakistan is not as cheap as neighbouring India: accommodation is slightly more expensive, with hostels at about USD10 per day and hotels at USD25. The most important thing to know is, at the moment, travellers need an invitation letter from a tour operator, and they can only get a Pakistani visa on their home country or country of residence. Satisfy this little red tape, and you’ll be in for the trip of a lifetime. Most tourists that go to Philippines would usually automatically think of places such El Nido, Coron and lately, Siargao, an upcoming destination. While all these three places are stunning, I personally feel that Camiguin is incomparable, and makes it a unique travel destination on its own. 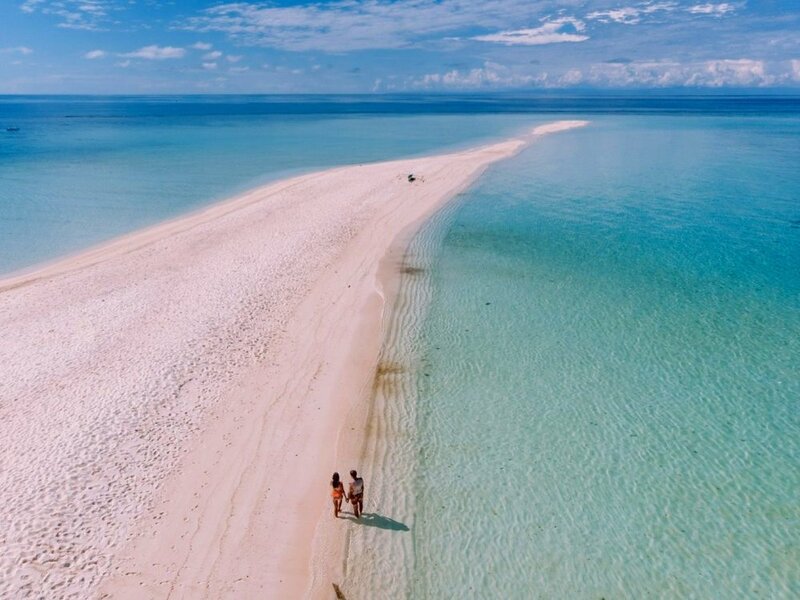 There are many Camiguin tourist spots with a lot of islands and beaches and fine white sands to offer, most of which are accessible by speed boats. Two of its beautiful islands are White Island and Mantigue Island. The water is crystal blue and almost translucent. You can also opt to try snorkeling by renting equipment or just bringing your own and be enthralled by the school of fishes and colorful corals under the turquoise green sea. One thing special about Camiguin are the hospitality of the people, a common trait among the Filipinos. You can easily find accommodations as well, from cheap to luxurious resorts. It’ll be a crime to visit the touristy places of Philippines and forget about an unusual holiday destination like Camiguin. 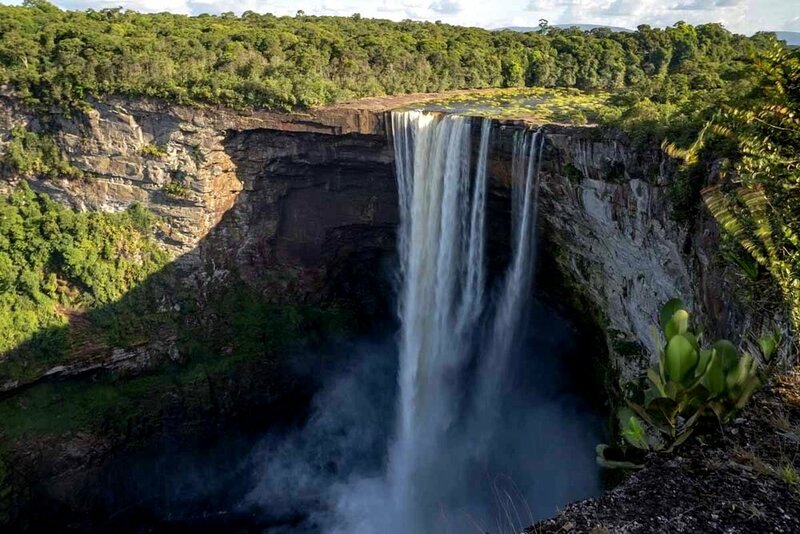 Those looking for unusual holiday destinations should definitely consider adding Guyana to their 2019 wishlist. This country is located in the northern part of South America, and it's one of the least visited countries in the world - and I wonder why, because it's absolutely stunning and unique in many ways. Most people live along the northern coast, which is where you'll find the capital, Georgetown. Guyana is South America's only English-speaking country, where the food and atmosphere feels more Caribbean than South American. Yet, the real beauty of Guyana is in the wild, unexplored interiors. The country is 85% covered in rainforests, and it's full of rivers and waterfalls like the famous Kaieteur, the world's largest single drop waterfall. You can stay in rainforest lodges and go on jungle safaris to spot wildlife, or travel to the remote South Rupununi region and explore the savannah on horseback or ATV, travelling for days without seeing a single soul. It was truly one of the best experiences of my life! Bovec hits the sweet spot in being a nature destination with a lively town. Imagine cobbled street cafes, the emerald-green Soca river and a town that is just below the majestic Julian Alps. Located in north-west Slovenia, Bovec hits the sweet spot in attracting travellers to explore this tiny little town. The main square often hosts gatherings and street parties. The valleys in Bovec region is surrounded by alpine cottages and wooden chalets, but what's more enthralling is the sight of the emerald green-blue waters of the Soca river where The Chronicles of Narnia: Prince Caspian was shot. One of the best ways to see the Soca Valley in Bovec, Slovenia is to take a scenic drive along a narrow mountain pass before you arrive at the Soca River. The Soca river runs through deep canyons into pools filled with white sand and marble trout, making it one of the nicest alpine rivers to dive in these crystal clear waters and relax with a book. Considering how Slovenia is the greenest and smallest country in Europe, you can take a city break in Bovec and opt for an easy and scenic day-hike in Slovenia. Spending a holiday walking is already quite unusual compared to a traditional beach or sightseeing holiday, but what if you could combine all three experiences. The Camino del Norte or the Northern Way is one of the routes of the Camino de Santiago pilgrimage network. Unlike the famous and very popular French Way, walked by 60% of the pilgrims, Camino del Norte is walked by only 6% of pilgrims on the Camino. The total distance of the route is 825 km, it starts in the small town of Irun on the border with France and finishes in Santiago de Compostela. The Camino del Norte is an incredibly beautiful route that goes along the coast in Northern Spain, through the Basque Country, Cantabria, Asturias and Galicia. About 70% of the route is by the sea; past spectacular sandy beaches, beautiful coastal towns and cities with breathtaking looks outs on the way. Add to this delicious local food that Northern Spain is famous for and you’ll get the complete picture of the Camino route. If you walk it in summer you get a chance to combine hiking with beach holidays and sightseeing - activities that usually don’t go together. Another great thing about the Northern Way is its cost, it can be done for under 20 Euro a day which is very cheap for Northern Spain. The main reason of the low cost is accommodation, pilgrims stay in special hostels called albergues, that cost between 5 and 10 Euro per night, some albergues are for donation. For those who likes hiking, coastal scenery, historical towns and delicious food the Camino del Norte is an amazing alternative holiday. Most people who visit Catalonia head straight to Barcelona, and at most venture to Girona and Costa Brava. Mention Garrotxa, however, and they'll likely say they haven't even heard about it. It’s a pity, as this beautiful region at the foot of the Pyrenees has a lot to offer to visitors. Garrotxa is packed with extinct volcanoes – there are some 40 volcanoes in the region, four of them only around Olot, the main city. They can be hiked and even seen from above, on a hot air balloon ride. Switzerland is a small country though very rich in natural sights. 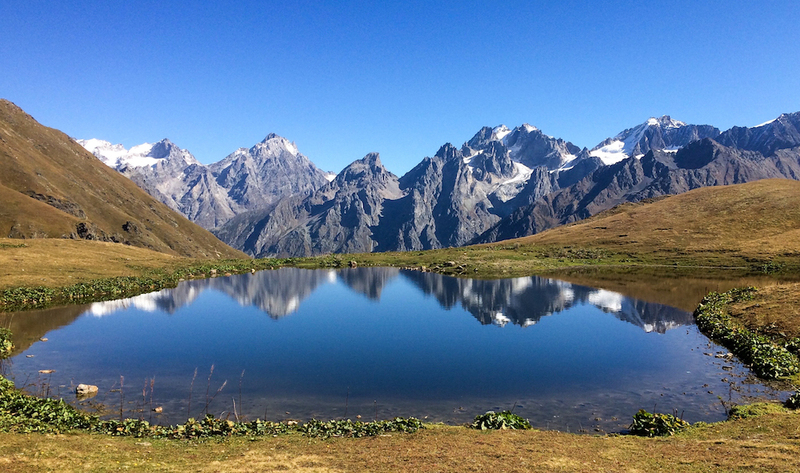 One of the most stunning, yet hardly known places in Switzerland in Valposchiavo. Located in the canton (state) of Graubünden, in the very eastern part, it is quite remote. Its remote location can be the only reason why it is hardly known and why it is not overrun by tourists. At least, this is my only explanation because the area is absolutely breathtaking and has many beautiful places. Whether it is the stunning Lago di Saoseao, one of the prettiest lakes in the country (and believe me, the competition is extensive), Lago Blanco, or the stunning mountain ranges. Valposchiavo knows how to impress - but the highlight might be a train ride with the Rhaetische Bahn to Ospizio Bernina train station and the hike from there to Sassal Massone. From the mountain peak, you have stunning views of the Palü Glacier and Lago Palü (Palü Lake). You might see a few Swiss tourists, but it is still a hidden gem in Switzerland. It cannot get much better and if you are looking for a unusual and unique travel or holiday destination to visit in Switzerland forget places like Zurich or Lucerne and head to this pearl. by Arzo Travels "Eat well, dress up, and travel!" Hpa-an is the first town I stepped into in the Kayin state of Myanmar. I had limited days and had no intention of visiting this town. But when I crossed the border in Myanmar from Thailand, I hailed a taxi to Hpa-an and traveled for 5 hours. The town took me by a complete surprise. Hpa-an was an unusual, sleepy town with a peaceful and laidback vibe, resulting in a handful of tourists. As I dropped my bag at the hostel, I immediately joined a group tour late in the afternoon. Fortunately, it turned out to be the perfect timing as I visited the Bat Cave and experienced the chaotic noises from the thousands of bats flying out of the caves at dusk. It was a magical feeling being in a quiet secluded place, where only a number of tourists, the tour driver of the group and a few locals are present at that time. We quietly took photos as the thousands of bats flock their way to the shielded behind a sloping, foggy mountain. The day ended with a dinner at the local restaurant where we continued with our storytelling adventures and ideas on where to head the next day. The stunning view and a variety of cave temples like the Saddan Cave and the Kawgoon Cave in Hpa-An makes it as an unusual holiday destination to visit the intricacies of Myanmar, filled with design, art and unique structures.. Apart from visiting these caves, the Lumbini Garden filled with several hundred neatly aligned Buddha images on the foot of the Mt. Zwegabin turned out be quite a spectacle. All of these places of interest in Hpa-An can be toured using their local transport vehicle called their “TukTuk”, similar to the ones in Thailand. What are some of your unusual holiday destinations that you’ve travelled to? And tell me why you loved them?